The final result of CAPF Assistant Commandants Examination 2017 has been released on the official website. 04 July 2018: The Union Public Service Commission (UPSC) has released the final result of the Central Armed Police Forces (Assistant Commandants) Exam 2017. The final result is prepared on the basis of candidate’s performance in the written examination conducted on 23rd July 2017 and personality tests conducted from 7th to 17th May 2018. Candidates who have appeared for the exam can check the result on the official website. 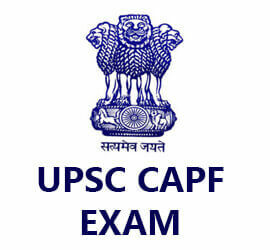 Go to the official website - http://www.upsc.gov.in/. Click on ‘Final Result: Central Armed Police Forces (Assistant Commandants) Examination, 2017’ link under ‘What’s New’ section. You will be redirected to a new window. A PDF will appear for the final result. Click on it to see the result. The PDF will list the roll number and name of qualified candidates. Find your name in the list. The marks of the exam will be available on the official website within 15 days from the result declaration date. The Government shall make allotment at various services according to the merit obtained, preference provided by the candidates, and the number of vacancies subject to candidates fulfilling the eligibility conditions. Subscribe for latest exam notification and never miss an update of our daily tips and tricks from Toppers and Counsellors. In case you require any information regarding examination/recruitment, you can contact the UPSC ‘Facilitation Counter’ near examination hall building in person or over Telephone number 011-23385271/23381125. 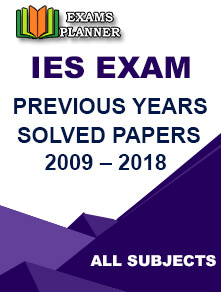 Himanshu Basant Bhatt is working as a writer for ExamsPlanner from last 18 months. Joining the project at its initial stage, she had contributed to the expansion of the project in many ways. Her research and understanding on the official information and presenting it in an easy-to-grab manner has helped in providing the authentic information on our web portal. Her skills of keeping a track on all the latest updates are well utilized for answering the queries of all the aspirants. With such an asset, we aim to help students with genuine information on various competitive exams.